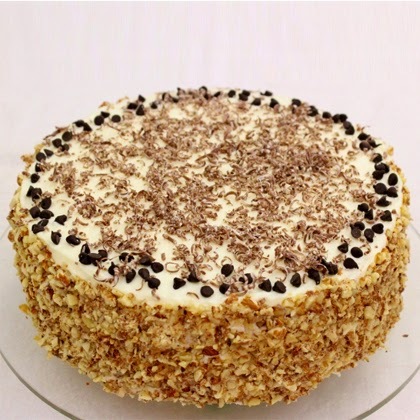 Cannoli cake is a take on the beloved Italian cannoli pastry. The best part is the luscious, velvety filling. My sister, Elina, shared this recipe with me. She is always baking up delicious cakes, pastries, and other goodies, not to mention her beautiful cupcakes. She is like the Cupcake Queen. Since she is an amazing baker, I totally trusted her judgement and knew that it would be delicious. I was right. Except it was even better than I expected. I used a foolproof sponge cake recipe from Cook’s Illustrated, brushing each layer with a chocolate liqueur syrup. The filling is made with ricotta cheese, cream cheese and mascarpone cheese. Doesn’t that sound heavenly? Smooth and creamy, this filling is the perfect texture and combination to complement the tender sponge cake.